Prayer Cards, Saint Cards, Sigil Cards, Veve Cards, Loa Cards, Demon Cards etc. 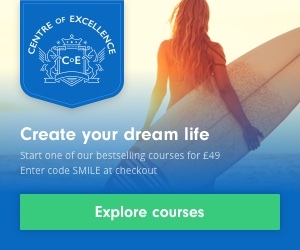 We have teamed up with the Centre Of Excellence and can now offer all of their courses at the VERY discounted price of £49 when you click the banner above and use the code SMILE at the checkout! Courses include Wicca Diploma, Advanced Wicca Diploma, lots of Accredited Complimentary and holistic Therapies Diplomas and so much more! Dominate the craps tables or other dice games. Sprinkle on your cuffs when playing dice games and gambling. Our handmade lucky dice oil powder made using an original traditional recipe. Our products may not be the cheapest, and we make no apology for this as they are of EXCEPTIONAL QUALITY and HANDMADE BY US with love, care and using the finest ingredients. We use real herbs, roots, powders, barks, petals, bones, shells & essential oils or herbal and flower blended oils, amongst many other traditional ingredients. THESE ARE AUTHENTIC AND HANDMADE and are NOT MADE IN A FACTORY USING JUST FRAGRANCE OILS AND COLOURED DYES like many others. Our products are made to GENUINE family recipes that have been handed down. We also sell this item in a 50ml Amber Glass Bottle for £25 – a saving of over £9.00! This larger size is great for practitioners, magical communities or those using this item on a regular basis. Click here to view our 50ml Glass Bottle Practitioner Range. You can use powders and oils in a number of ways. You can use both the matching oil and powder on a candle before it is burnt to aid the magical work. So for example, a few drops of come to oil and a sprinkling of come to me powder on a red candle would aid that magical work for a come to me spell. Powders and oils can also be used in mojo bags, gris gris bags and magical pouches as well as anointing candles, wearing on your skin (please make sure this is safe first by asking! ), cleansing altars, tools and homes, charging amulets, talismans and spell jars and bottles, adding to honey jars and more. They can be sprinkled around your home or personal items that have some link to your magical work (for example, for workings for money, sprinkle in or around your purse) or they can be sprinkled around the intended persons home or items (for example, a crossing powder could be sprinkled around the home of someone you wish to cross and then a candle fixed (anointed) with crossing oil burnt). Some of our oils and powders contain toxic herbs or herbs that may cause an allergy so they must not be taken internally or used on the skin. We do not send proof of postage unless requested and proof of postage is only kept on record for 2 weeks (3 weeks for International orders) after order has been placed. Items are sent using standard Royal Mail / Parcelforce. We do not use tracking or insurance unless requested by the customer at extra cost. This keeps your postage costs at a minimum. UK orders should take 2 or less working days to arrive to you AFTER being shipped from us. International orders can take up to 14 working days to be received by the customer AFTER the item has been shipped. We are not responsible if your order gets lost or damaged in the post as we can send you a proof of postage and all of our orders are packaged carefully. For international orders, we are also not responsible if your order is seized by your own countries Customs & Excise. For more information on our delivery info please read our Terms & Conditions. Copyright © The Village Witch / The Village Witch Shop 1995 - 2018. All Rights Reserved. Disclaimer: Due to the Fraudulent Mediums Act of 1951 and the Consumer Protection Regulations, we make no claims as to the efficacy of any of our products or services and that they are for entertainment purposes only. When using our products or services you (the customer/client) agree to using them at your own risk. No part of this website either text, photos or graphics may be reproduced or linked elsewhere without prior written permission from The Village Witch Shop. Failure to adhere to this rule will result in a hex. You can still place an order and your order will be safe. On our return we will be sending orders out in the order they came in. Spells & Subscription Boxes will still be be taking place even though we are closed over the Easter holidays so you can still order these and they will be done whilst we are closed. To close this notice, please click on the X in the top right hand corner of this purple banner.